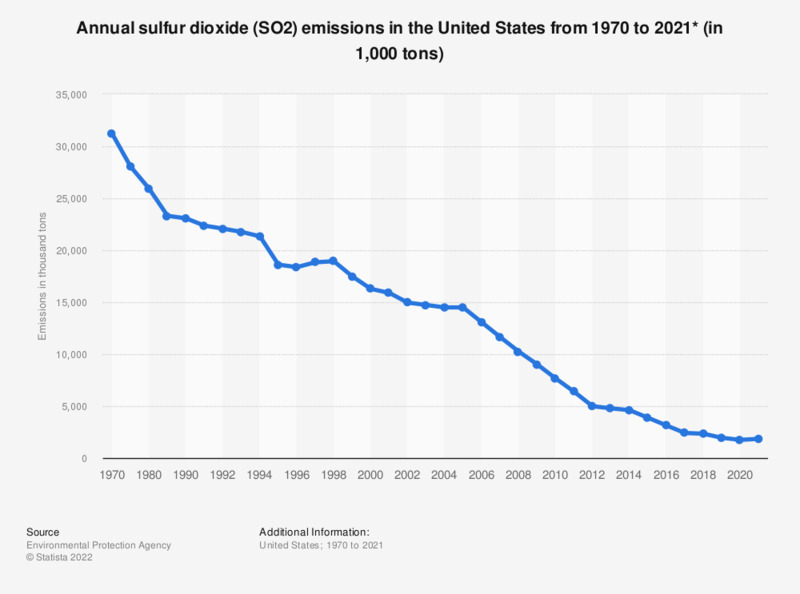 This statistic displays the volume of sulfur dioxides emissions in the United States from 1970 to 2016. In 2016, there was 2.71 million tons of sulfur dioxide emissions. Sulfur dioxides is a highly reactive gases, which largely comes from fossil fuel combustion and other industrial facilities. Most polluted states in the U.S.